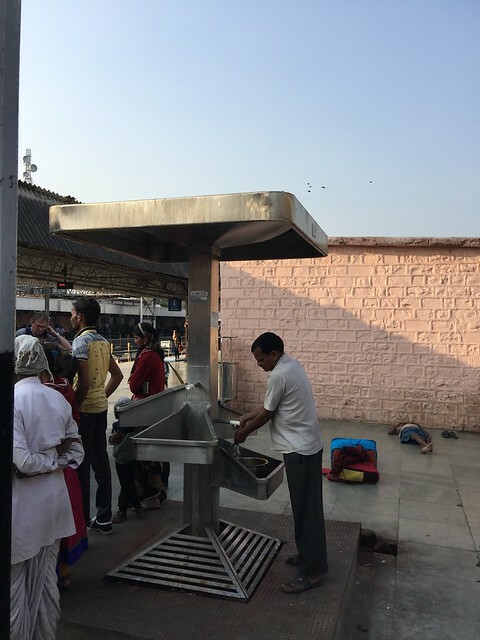 Is the water in India safe to drink? No. Unless you’re a local whose body has adapted to the water here, there’s no point in risking your health and happiness by drinking anything but bottled water. Not only are you risking bacterial contamination but also numerous other diseases caused by ageing pipelines, often nonexistent sewerage system that flows back into local rivers and dams and low quality water purification and treatment systems. If you’re looking forward to the trip of a life time there is NO point in risking it, when bottled water is so readily available and cheap everywhere. 1. Ice is often served in most soft drinks. Ask when ordering for no ice – if it’s served with ice, then politely decline. 2. You’ll find bottles of water in most hotel rooms and on tables at restaurants. Never drink water that doesn’t come from a bottle that you’ve opened yourself or seen opened in front of you. Never accept bottled water which has been opened before being brought to you. 3. Like in most places there are dozens of brands of bottled water. There are some higher quality brands owned by the likes of Nestle or Coca Cola which will bring peace of mind. Prices vary from region to region and vendor to vendor but for bottled water bought from a street stall expect to pay between R10-40 for a 1 litre bottle. Always look for a plastic film seal around the neck of the bottle and that the bottle cap/ lid seal is in tact. 4. Tap water is a NO – not even when brushing your teeth. Given the state of some plumbing we’ve seen avoid ingesting the local water at all costs! 5. Tea/ soup – boiled water used in teas and soups are fine to consume as long as you’re confident the water was brought to the boil. Often food and drink are served luke warm so always check. 6. There are a large selection of water purification bottles/ safety straws/ tablets available from most camping stores. Travelling with a microbiologist he laughed at the idea these actually worked, so rely on them only as a last resort. In short, if it comes out of a sealed bottle you’ll be fine – anything else should really be avoided.